June 30, 2015 | Posted Dental | Be the first one to comment. While all of your teeth contribute to the appearance of your smile, there are 6 teeth that play the biggest role in creating an attractive smile. Knowing their location and role will help you to understand how the dentists at Earlsbridge Dental can help you improve your smile. These are the most visible teeth in your mouth in terms of surface area. They get their name because they incise (cut) the food that you eat and are located in your maxilla (upper jaw). The central incisors are probably the most important teeth in terms of creating an attractive smile. Since these teeth are the most visible, they play a huge part in the color of your smile. Thus, if whitening treatment fails to brighten them, you will have to find another solution. These teeth also represent the midline of your smile and help to shape the character your smile conveys. Rounded central incisors convey a more friendly appearance, while squared incisors give off a stronger or more aggressive appearance. Maxillary Lateral Incisors are located on each side of the central incisors in the upper jaw. Together with the maxillary central incisors, the lateral incisors help to cut food and form your smile's appearance. Ideally the laterals should more narrow and shorter than the central incisors, since this conveys a more attractive and youthful look. For most people these teeth are sharp; however, they can also be round. Similar to the central incisors, the shape of the canines largely determines the appearance your smile conveys. Sharper canines express a more aggressive look, while rounded canines convey a gentler appearance. Canines also help to support your jaw. However, they are one of the main culprits of facial aging. If your canines become worn down, this increases the chance that your facial structure will also collapse. For this reason, your canines are often one of the major areas treated during a nonsurgical facelift. If you would like to learn more or if you're considering cosmetic dental surgery, contact us at 905-846-6661. We’ll be more than happy to answer any questions you may have. June 16, 2015 | Posted Dental | Be the first one to comment. Regular checkups with your dentist can do more than keep your teeth healthy – it can keep your body healthy too. There’s a strong correlation between one’s oral health and overall health. The hygiene of your mouth can greatly affect the rest of your body. Bacteria that accumulates on teeth may make the gums susceptible to infection. In defense, your immune system attacks the infection leading to the gums being inflamed. The inflammation continues until the infection is stabilized. If left untreated, it can erode gums and teeth resulting in gum disease (known as periodontitis) and problems with other body parts. Research from the Academy of General Dentistry shows a link between gum disease and other health problems, such as diabetes, digestive problems and heart disease. Women with gum disease are also more likely to give birth to pre-mature or low weight babies. Other studies reveals that most systemic diseases – diseases affecting the whole body – involve oral complications, such as mouth ulcers, swollen gums, and dry mouth. Systemic diseases include diabetes, heart disease, kidney disease, leukemia and oral cancer. The gum disease/diabetes relationship may be the strongest one of all. Inflammation originating from the mouth may negatively affect the body’s ability to manage sugar levels. People with diabetes have problems controlling blood sugar levels since their body cells don’t break down sugar the way healthy body cells do. This results in extremely high blood sugar and insulin levels. To make matters more complicated, gum disease and diabetes appear to have a two-way relationship. High blood sugar levels can also promote infections to grow, such as gum infections. Researchers at the American Academy of Periodontology found that people with gum disease are two times more likely to suffer from coronary artery disease than those without it. The two diseases have a number of common risk factors, such as being overweight, unhealthy eating habits, and smoking. If you suffer from gum disease, oral bacteria can make its way to your bloodstream and lead to infection in your heart and lungs. The bacteria can also stick to the insides leading to blockages and blood clots to form. All these factors greatly increase one’s risk of having heart complications, such heart disease, heart attacks and strokes. Brushing your teeth for 2-3 minutes after every meal with fluoride toothpaste. Flossing daily to remove plaque and using mouth wash to get rid of bacteria. Eating plenty of healthy foods, such as fruits and vegetables, to get your nutrients. Avoiding cigarettes and alcohol, which increase one’s risk of developing gum disease and oral cancer. 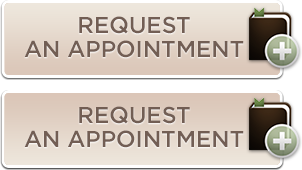 Visiting your dentist annually for cleanings and to check for cavities and gum problems. Following these steps can not only protect your teeth, it can also save your life!